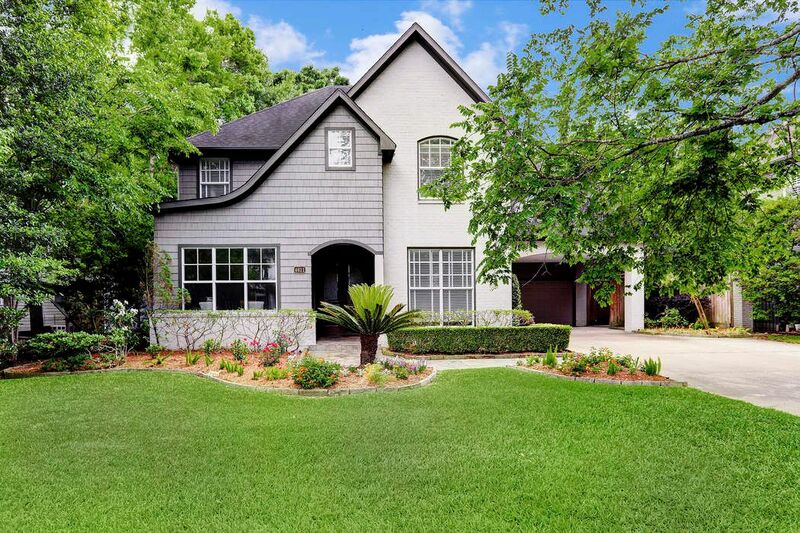 4611 Locust Street, Bellaire, TX 77401 | Martha Turner Sotheby's International Realty, Inc. 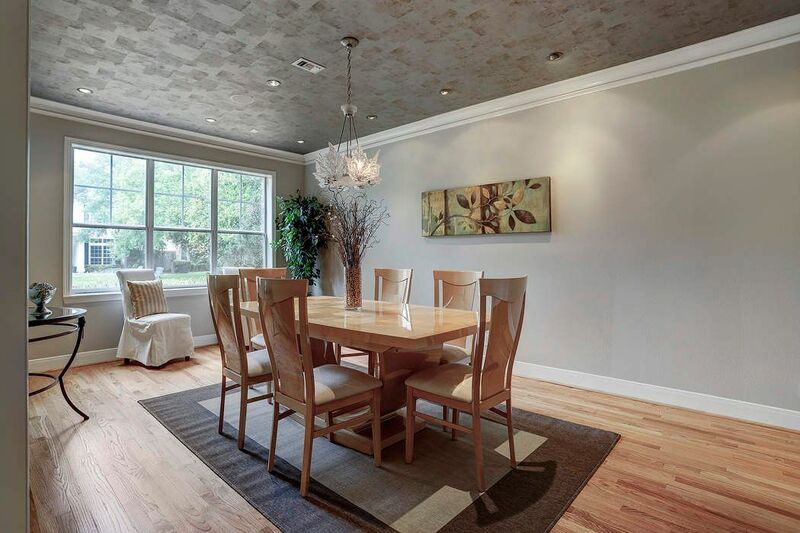 Situated on a 9450 sf lot, this inner loop beauty is truly a one-of-a-kind in Bellaire! 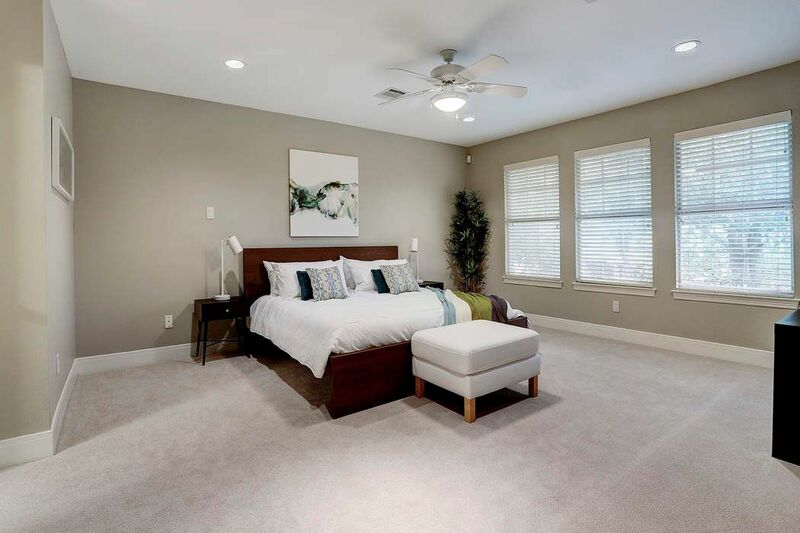 Located on a dead-end street, the location is convenient to (3) parks including the new Evelyn's park with a coffee house/restaurant and walking trails. 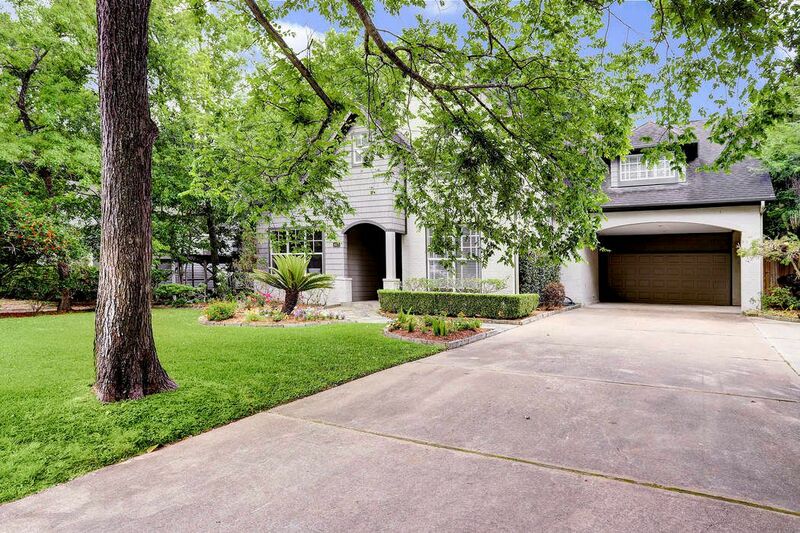 Fabulous yard is a true feature of this home - abundant space for play and/or a future pool. 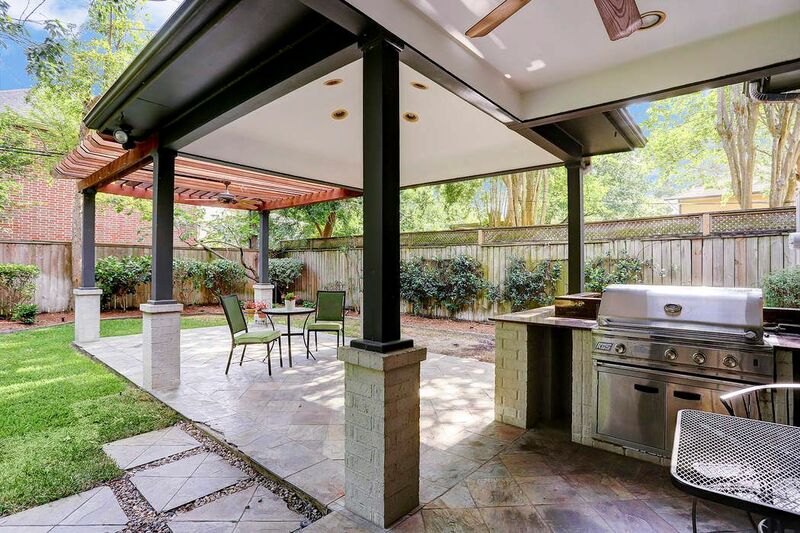 Large covered patio and outdoor kitchen! 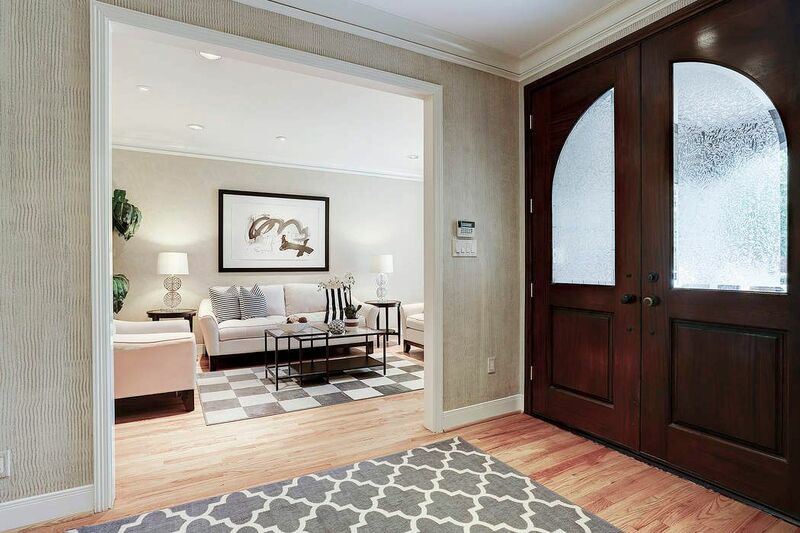 You are welcomed into the home through rich wood double doors into a wide entry with views through to the backyard. 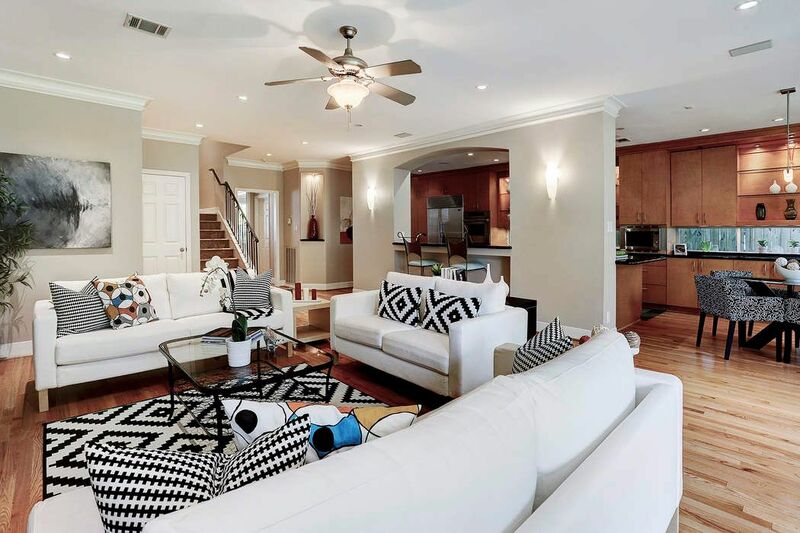 A wonderful floorplan for entertaining on a grand scale - designer accents include handsome crown molding and a painted ceiling in the dining room. 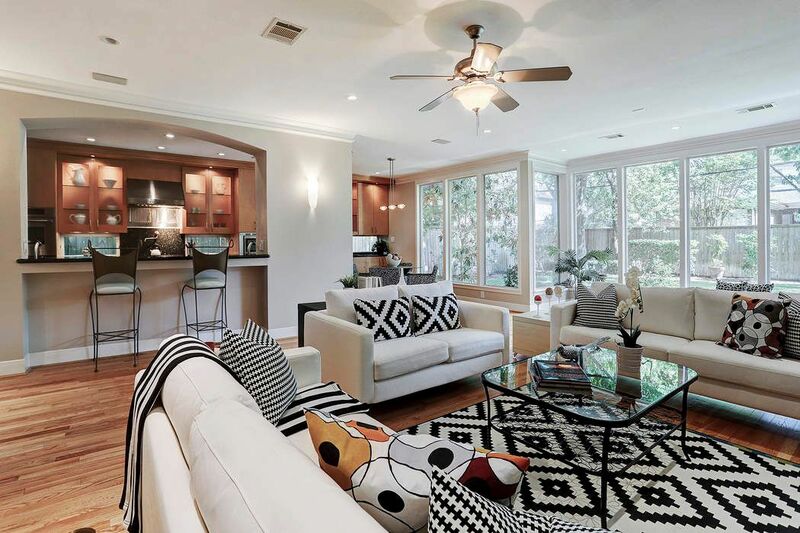 Art lighting and large windows throughout the home offer lovely natural light. LIVING ROOM - 18X11 - large enough for a baby grand piano and sitting area. Possible future downstairs study. DINING ROOM - 21X11 - expansive and perfect for the family that loves to entertain during the holidays! Refinished hardwoods and new paint - opens to the butler's pantry. BUTLER'S PANTRY - granite surface, cabinetry above and below with glass shelving. Pantry closet. KITCHEN - 23X10 - complete renovation in 2002. Windows between the granite surface and upper cabinets for additional natural light. 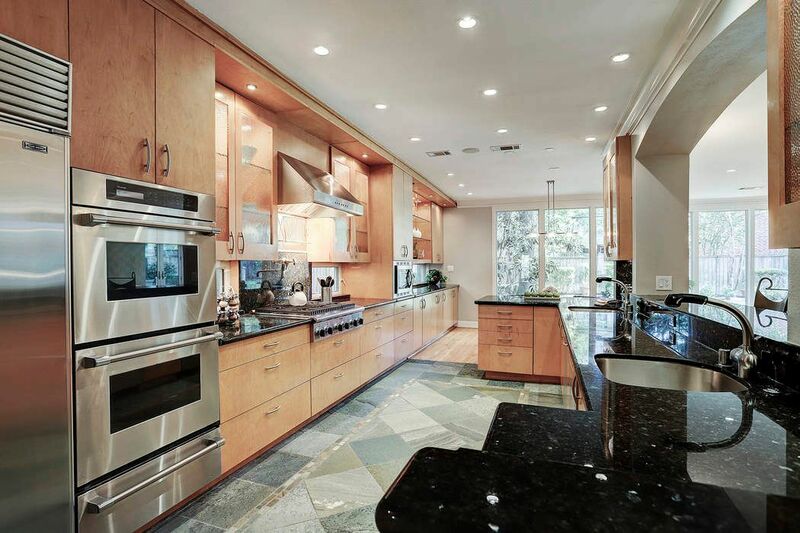 SS Sub-Zero refrigerator, Thermador 6-burner gas cooktop, double ovens and warming drawer. SS commercial vent hood. BREAKFAST AREA - 14X10 - gorgeous views seen through a wall of windows looking to the backyard. 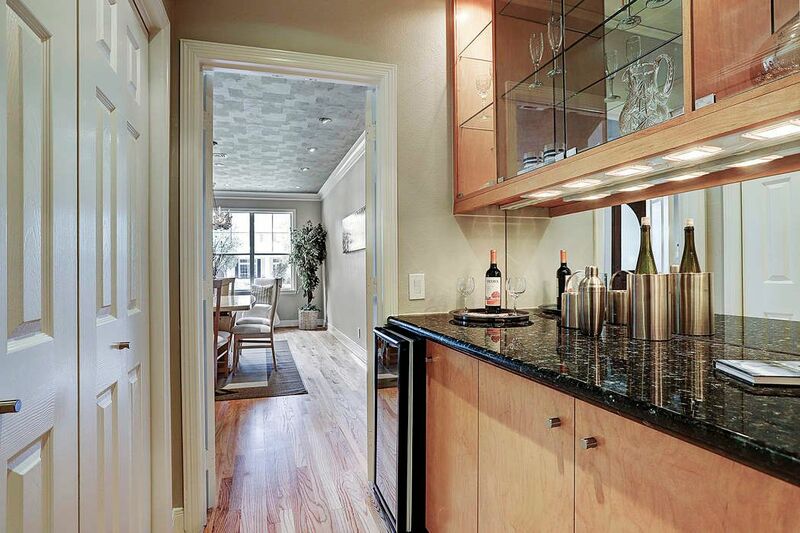 Nice glass display shelving and plenty of serving space on the granite counter! Pretty contemporary light fixture. 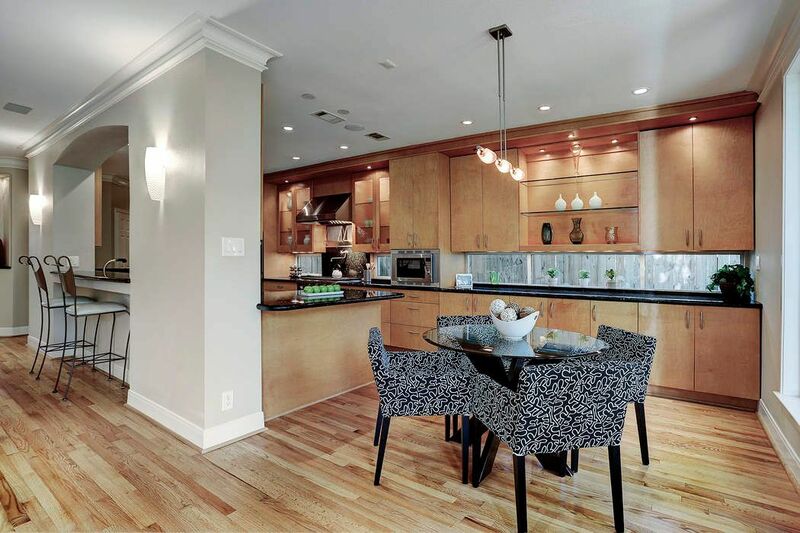 Alternate view of the breakfast area looking to the 8-ft breakfast bar flanked by sconce lighting. Spacious FAMILY ROOM - 28x18 - opens to the kitchen and breakfast area. 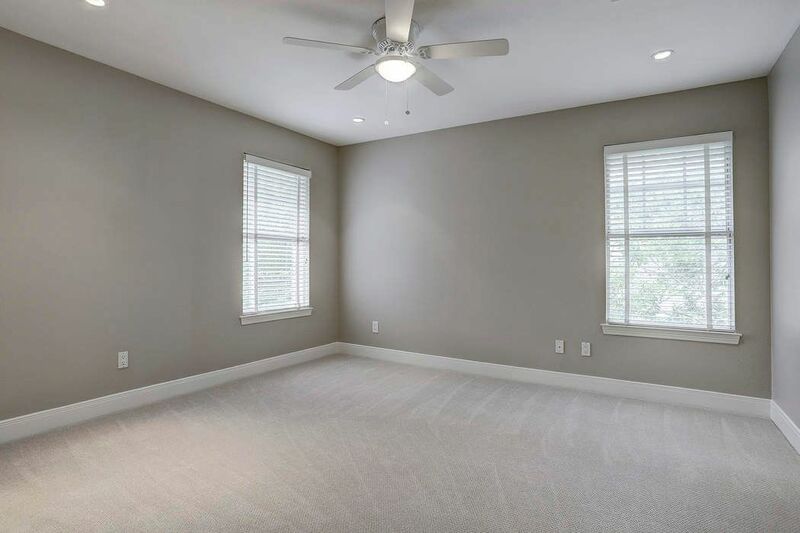 Hardwoods, ceiling fan, recessed lighting. View of the FAMILY ROOM with wall of picture windows looking to the backyard. 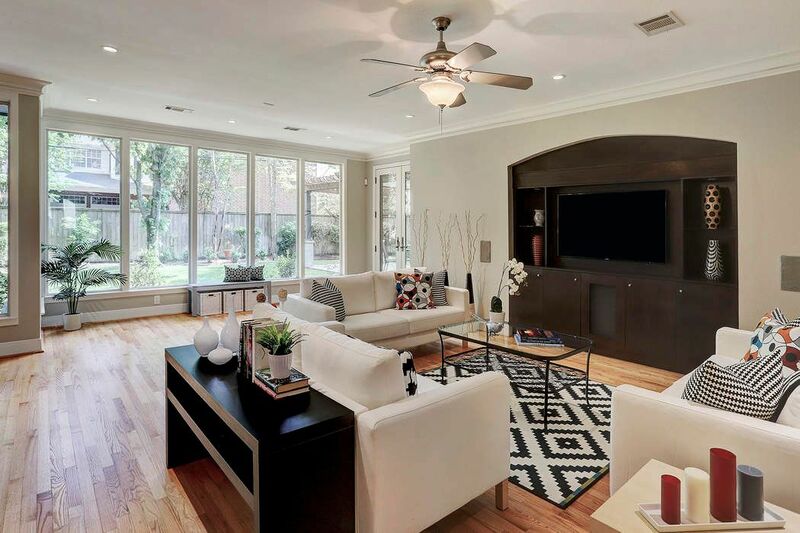 Family room has a built-in entertainment center - TV remains. French doors - on the far left - open to the covered patio and outdoor kitchen. 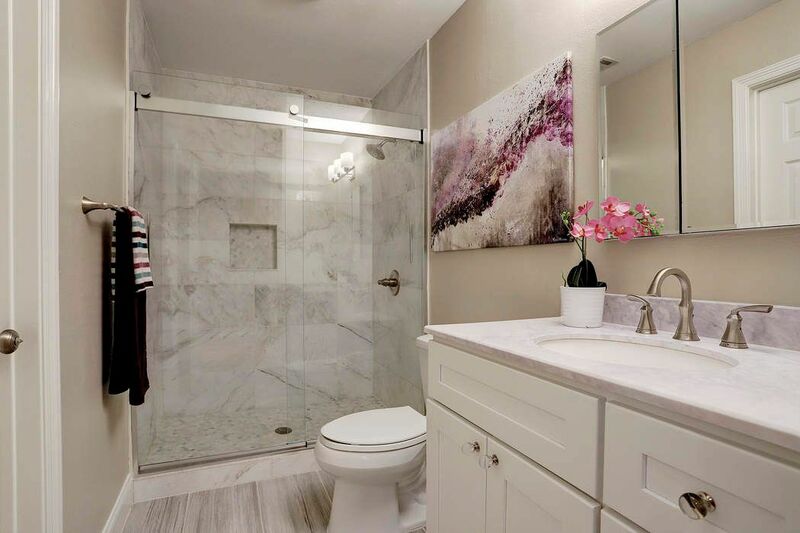 Updated POWDER ROOM - travertine tile on the floors and walls. 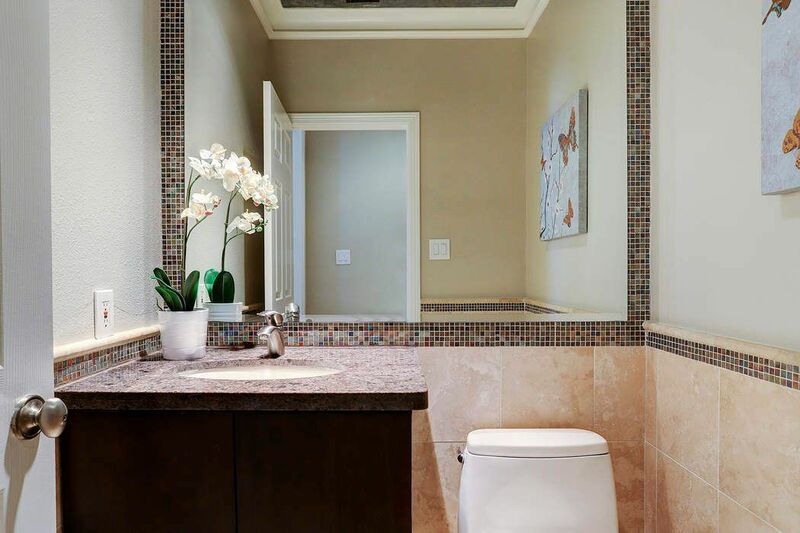 Gorgeous mosaic tile surrounding the counter-to-ceiling mirror and border. Granite counter and brushed nickel faucet. 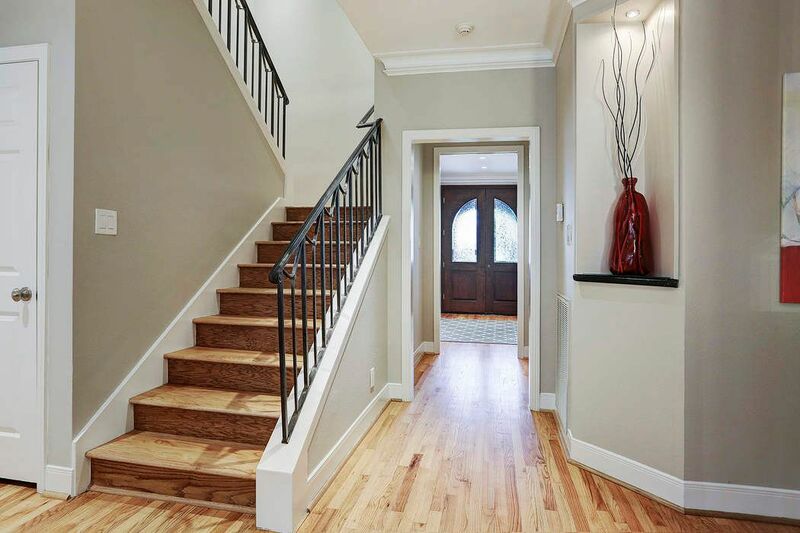 Nice art niche and refinished hardwoods/stairs - leading to the 2nd floor gameroom, bedrooms and study. To the left of the stairwell - a coat closet with deep storage; large laundry room and mud room (remodeled in 2002). MASTER SUITE - 16X14 - new carpet and paint. A good size room with (3) windows looking to the backyard. Double doors into the study/future 2nd closet (not shown). 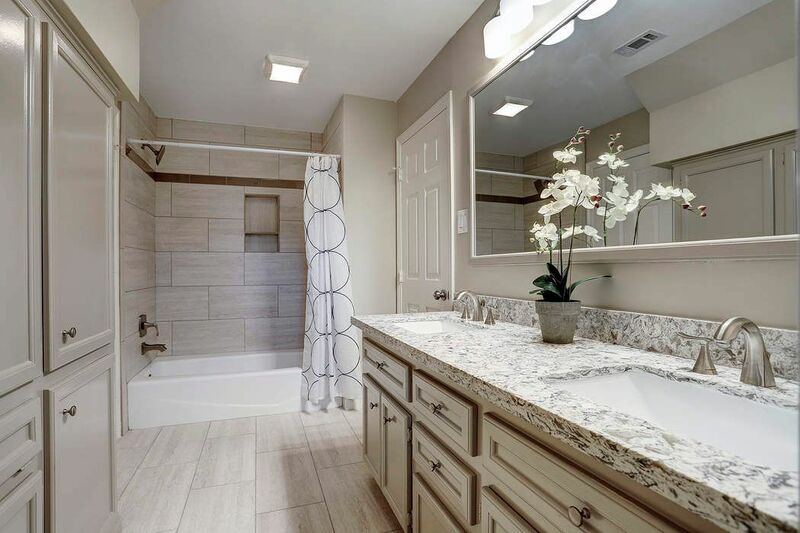 MASTER BATH - remodeled in 2018 - you'll be the first to enjoy this fabulous bathroom. 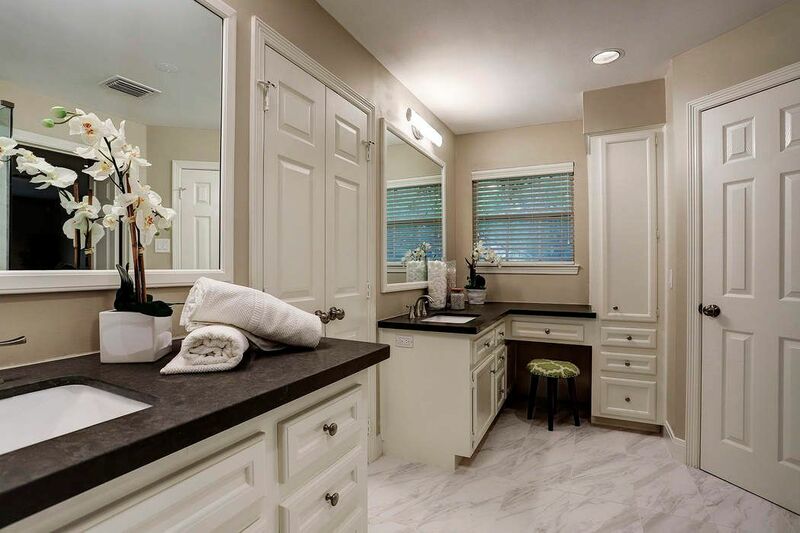 Quartz surfaces, dual sink areas, framed mirrors. Doors to the left open to the master closet. Separate toilet area to the right. 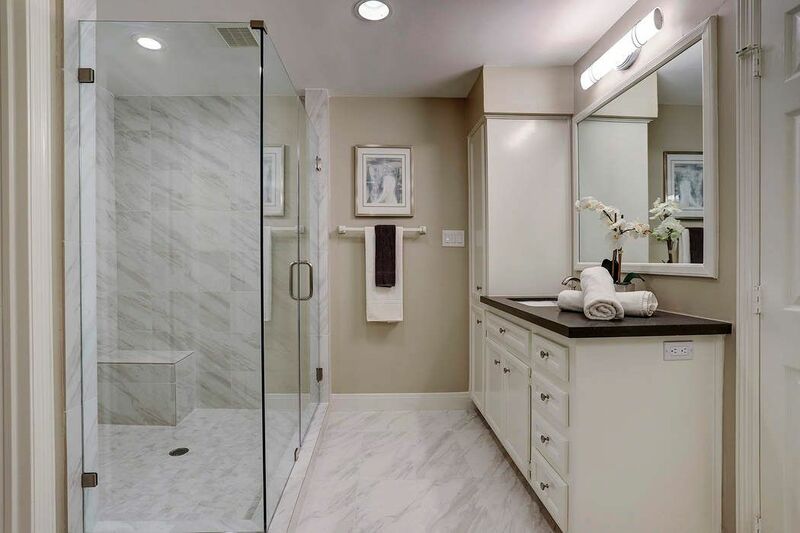 Oversized glass enclosed shower in the master bath - ceramic tile that looks like marble throughout. New paint and fixtures. This bathroom sparkles! 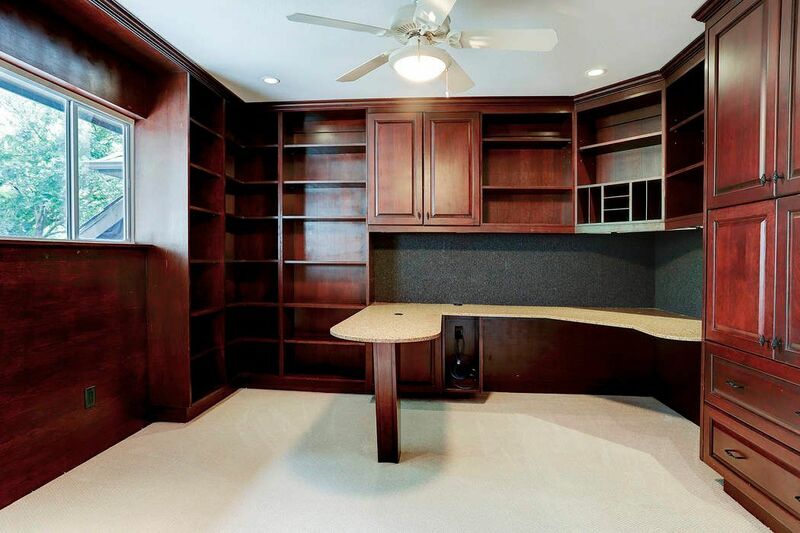 STUDY - 12x12 - handsome floor-to-ceiling cabinetry with built in granite desk, abundant storage and shelving. Tree top views through the windows! Possible future 2nd closet - entry from the master bedroom and hallway. 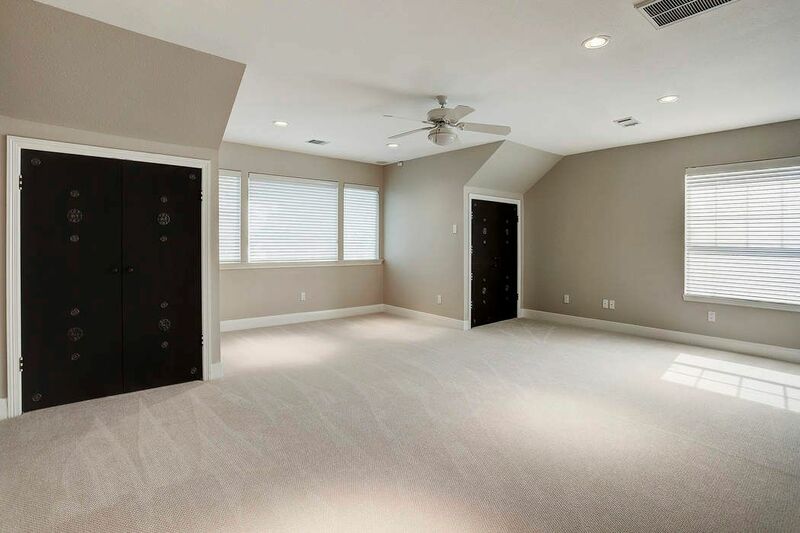 GAMEROOM/5TH BEDROOM - 21X13 - a huge space for play and/or guest room. New carpet and paint. Two closets with custom doors! SECONDARY BEDROOM - 14X11 - pretty chandelier remains. Additional 7x6 space for desk area below the window plus built-in shelving on the right. HALL BATH - remodeled in 2016/2017 - beautiful marble tile surround in shower. Brushed nickel faucet with faux marble counter. Opens to a secondary bedroom and hallway. SECONDARY BEDROOM - 14X11 - new carpet and paint. 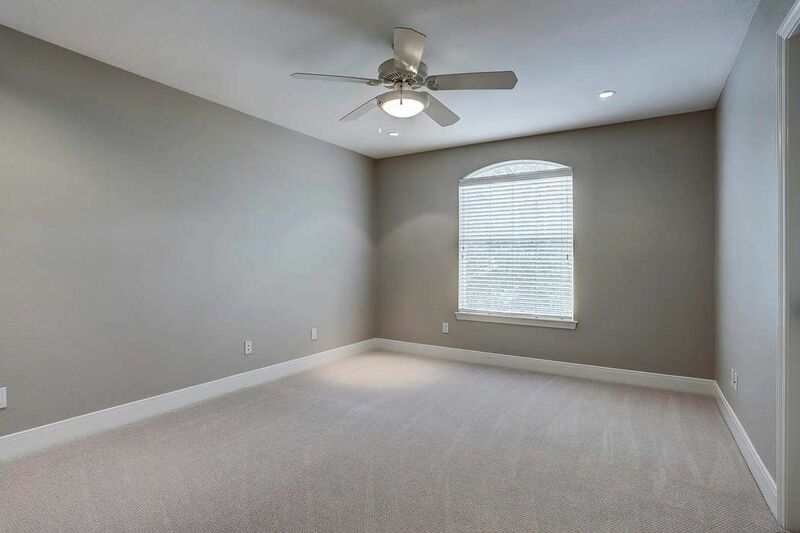 Ceiling fan, walk-in closet and double pane windows with blinds. HOLLYWOOD BATH - remodeled in 2018 - quartz surface, tub/shower with ceramic tile surround, brushed nickel hardware, framed mirror and decorative lighting. To the left, wall of floor-to-ceiling built-in cabinetry. Closet in separate toilet area. SECONDARY BEDROOM - 13X12 - new carpet and paint. Walk-in closet, ceiling fan and two double pane windows with blinds. OUTDOOR KITCHEN - grill replaced in 2015. Good size granite surface for food preparation and a serving area for great outdoor parties - rain or shine! 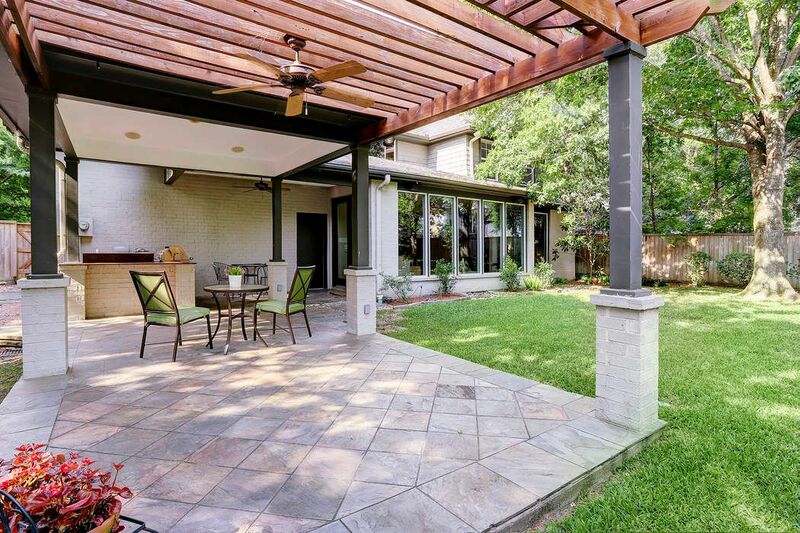 Large COVERED BACK PATIO - this backyard is what every buyer is looking for! Spacious and plenty of room for a pool! The option of walking to (3) different parks - just around the corner! Welcome home to 4611 Locust - situated on a wonderful dead-end street. Not shown: basketball hoop to the right of the deep driveway - all the neighborhood kids come over to play! 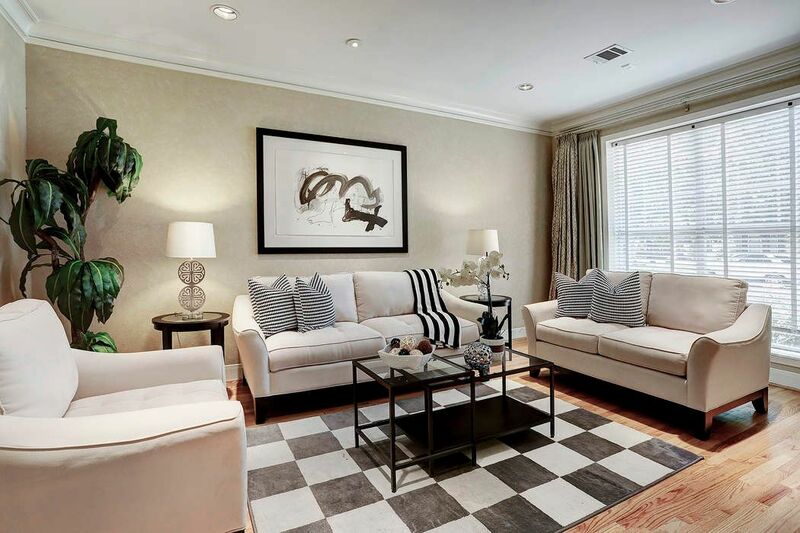 $1,175,000 4 Bedrooms3 Full / 1 Partial Baths4,190 sq. 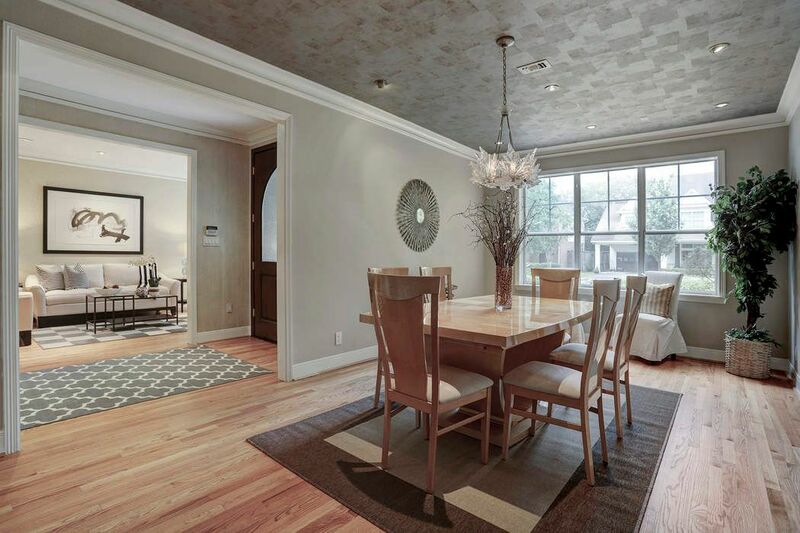 ft.
Beautiful custom traditional situated on a 9,450 sf lot and non-thru street - walk to several parks in Bellaire! 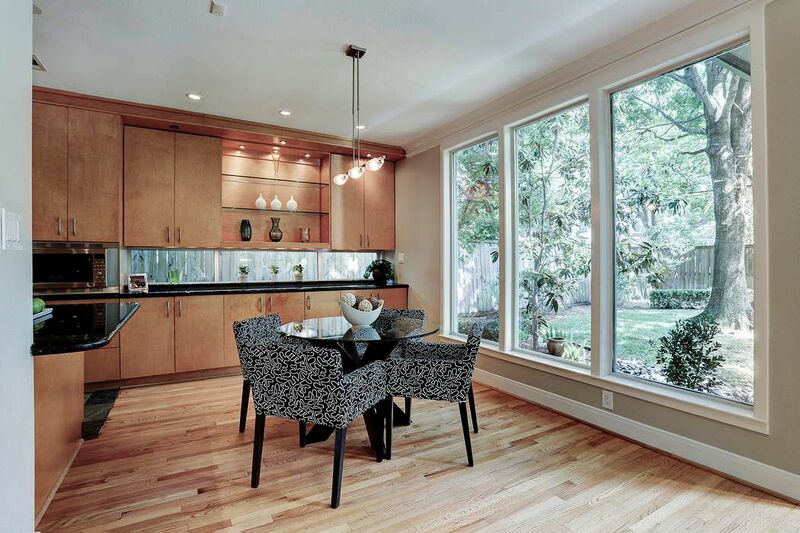 Quality abounds in this exceptional light filled home - total remodel in 2002. Expansive dining room for entertaining on a grand scale. Large chef's kitchen opens to the family room, butlers pantry and breakfast area: SS Thermador 6-burner gas cooktop, double ovens, warming drawer, Sub-zero refrigerator and (2) new Bosch dishwashers. 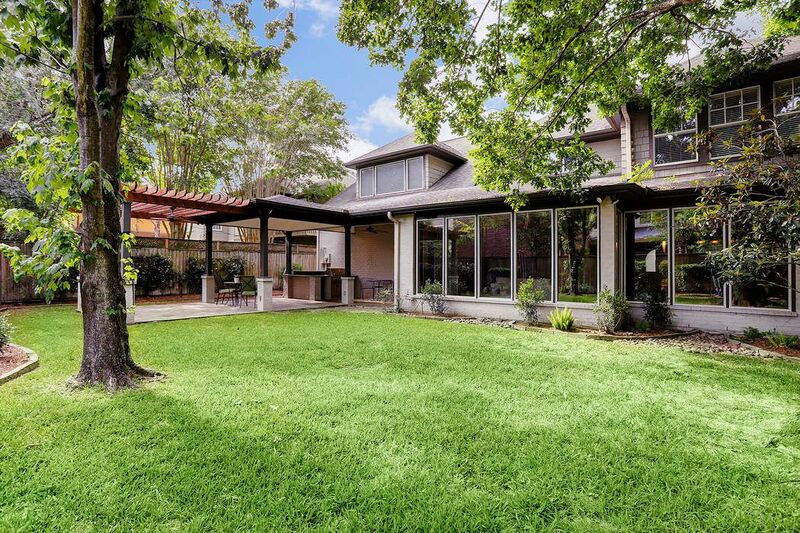 Wall of windows look out to the yard with covered patio, outdoor kitchen and mature trees. Updates include: Master bath, Hollywood bath (2018); new carpet and paint, refinished hardwoods (2018); Hall bath (2016/2017). Oversized garage, mudroom and laundry room on 1st floor. 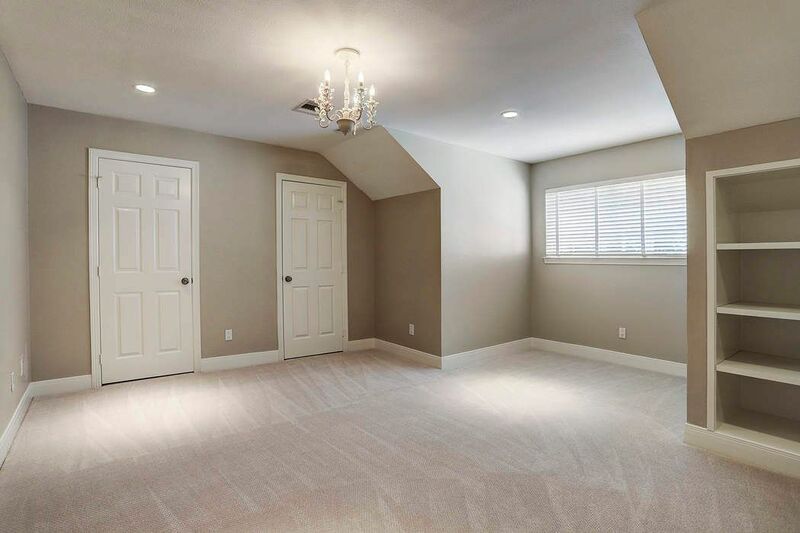 4- 5 bedrooms up (including game room). Did not flood.